As has been instanced more than once among the posts on this blog, American English in particular has a decided faiblesse for hypertrophies of all kinds, including pleonasms and their ilk. One fresh example, observed today in a café where Y-H-B stopped to have a hot chocolate and a canelle, will serve to remind the fastidious reader of this trend. On a box containing some packets of coconut oil in said cafe there was a some words of advertising, viz. “Need an Extra Boost?,” in which the meaning of boost was doubled by the word extra. Now, probably the author of this ad had the meaning of ‘an uplift or encouragement’ in mind, but the notion conveyed by the word extra is already contained in the meaning of boost, since the latter connotes something produced in addition to, or over and above, some basic action. The extrusion or linearization of the notion associated with extra already encompassed by the semantic syntagm of boost thus qualifies as a pleonasm when overtly preposed before boost, instantiating yet again how American English allows itself to countenance the failures of thought associated with linguistic hypertrophy. In an earlier post (“Discourse-Introductory so in Geek,” January 16, 2011), the increasing presence of the particle so at the beginning of discourses was analyzed and its presence ascribed to the jargon of geeks and to Yiddish. Since then, however, it has become evident––at least in contemporary American English––that so is not limited to the beginning of discourses but actually has spread to a much more frequent status as the initiator of utterances regardless of their position in discourse. 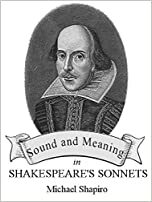 Moreover, when so occurs at the beginning of discourses it serves as a linking particle not only to preceding utterances but even to linguistically yet unexpressed material that has formed in the speaker’s mind as content that is relevant to the conversational context. Beyond this linking function, for some speakers so has evidently become a verbal tic, to the point where such speakers cannot initiate almost any utterance––particularly at the beginning of a discourse, but not only––without prefixing so. This ticastic so is especially prevalent among young female speakers but is becoming increasingly characteristic of their male counterparts as well––and not just of geeks. Without rising (yet?) to the frequency of ticastic like, this trait has even become a habitual feature of the speech of some pre-teenagers and is growing apace. Charles Sanders Peirce’s seminal paper, “The Law of Mind” (1892), from which much of his philosophy can be derived, has a passage that is particularly pertinent to the concept of a rule of grammar, viz. : “To say that mental phenomena are governed by law does not mean merely that they are describable by a general formula; but that there is a living idea, a conscious continuum of feeling, which pervades them, and to which they are docile.” When it comes to language, of course, one can fairly advert to an attenuation of the “continuum of feeling” because when we speak we are typically not conscious of the habits that constitute grammatical rules even as we follow the laws that govern the mental phenomena underlying speech. Although contemporary standard languages all have written codes that one can turn to when in doubt, no speaker in ordinary discourse needs to consult the canon of rules that exist in written sources in order to be able to use a language, which is to say that the rules are already immanent in one’s consciousness––just as they are in speech. The set of habits that transpire through speech has its counterpart in consciousness. That is what assures regularity, hence ease of linguistic communication, between speakers. Variation between individual sets of speech habits can generally not exceed the bounds of the rules of a particular grammar. In a homogeneous speech community, all members who have mastered the language adhere to the rules as a matter of course. Where violations of the contemporary standard occur, they are generally due to imperfect learning rather than to dialectal deviation. Apropos, in contemporary media language one often hears such spontaneous violations, even when their utterers are otherwise speakers of the standard. The extent to which errors matter to interlocutors or hearers depends on a variable sensitivity to what Peirce expressed (above) when he cited “a conscious continuum of feeling” as the “living idea” that pervades the law of mind. In the last decade or more speakers of American English have almost dropped using the word very as a modifier for emphasis or intensification and have resorted to the near-ubiquitous use of incredible/incredibly, in the face of the literal meaning of this adjective/adverb (‘that which cannot be believed’). The only explanation that suggests itself for this strange phenomenon is that of greater length of the word at stake by comparison with very. Quantitative increase is one way of iconically signifying semantic force, just as elongating the stressed syllable of any word (as of very itself) necessarily adds emphasis to it over and above the normal length of the vowel.